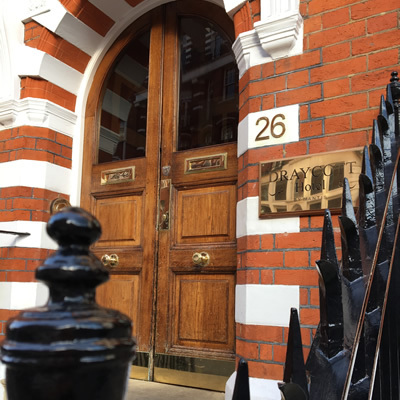 The Draycott Hotel can be found ideally located right in the heart of Chelsea. This red brick townhouse is a true celebration of traditional British style, and oozes elegance and class. The hotel is intimate and charming in ambience, and offers a warm and inviting hideaway from the hustle and bustle of city life. 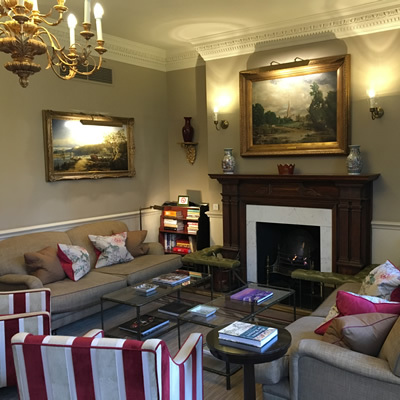 Boasting roaring fires and comfortable, well-worn sofas in the privacy of the hotel’s lobby, which is far removed from the hotel lobby experience one might expect; it feels almost as if you are visiting a friend at their English country home. 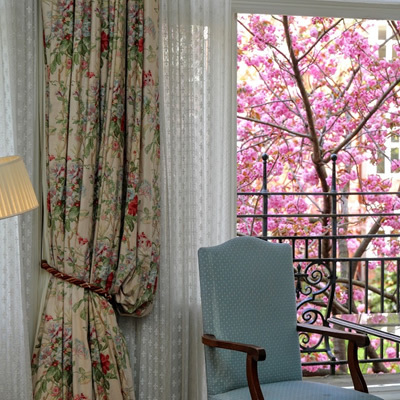 During our stay, we resided in the Gilbert Suite, which has windows overlooking the hotel’s garden - a wonderful view. Each resident in the square has access to the garden that centres the townhouses, so it’s a great place for people watching. You’ll also find a large dining table in front of the windows, which is a fantastic spot to have breakfast and watch the world go by. The windows open up onto a small terrace balcony when you’re looking for a breathe of fresh air. The Gilbert Suite also offers a sofa area, which is ideally placed right in front of a fireplace - making it the perfect place to curl up in front of the roaring fire. 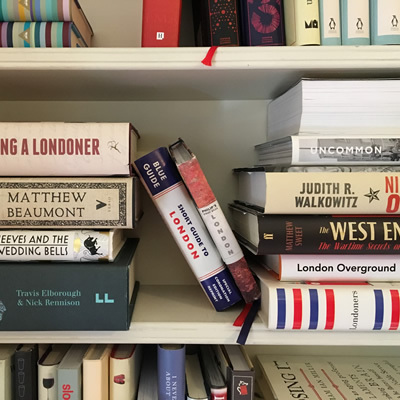 There is also a small library on the bureau, so this suite makes for a great place to do a spot work or reading. The suite is mainly focused around the large living and bedroom area; however there is a separate section which has two wardrobes and a dressing table that sits opposite the bathroom. The bed features a striking, floral pelmet above the headboard which only adds to the character of this suite. The service at the Draycott Hotel is warm and friendly and understated. You are left wanting for nothing, whilst everything continues on behind the scenes, making for a very comfortable and relaxing experience. The team are a credit to this hotel, and we thoroughly enjoyed our interactions with everyone we met there. You can expect complimentary afternoon tea in the drawing room throughout the day along with a glass of champagne in the evening and finally complete with a gorgeous hot chocolate upon your return, which is a very pleasant touch. We would certainly return to this charming hotel, and thoroughly recommend it as a home away from home in London. Being both cosy and chic, this hotel covers all bases in terms of homeliness as well as style, and gives a wonderful sense of comfort at every turn.